Leading consultancy firm Deloitte, has said that they will "reluctantly" continue to invest in Britain, however they have not ruled out moving their business to other countries, if the government's post-Brexit stance on immigration does not change. The company chairman, David Cruickshank, spoke at the annual APEC forum of Pacific Rim economies in Peru, and said that Deloitte is very proud of the heritage that the company has in the UK, recognizing the big base they have in Britain. "[Brexit] just says the UK has to be very good at trading internationally, doing things internationally and that's where all our efforts are. So we continue to invest hugely in the UK," David Cruickshank said. However, the consultancy firm sparked controversy recently, when a memo was leaked which outlined their strategy to leave the UK, following Brexit. The leaked memo said an additional 30,000 civil servants may be needed to cope with the Brexit-related workload and that the estimated 500 projects would be "beyond the capacity and capability" of the government. Deloitte is not welcome in the United Kingdom if it cannot embrace Brexit. We're leaving the EU. Help us, don't hinder us. Cruickshank said that he had not seen the details of the memo and was unaware of what it contained. A different opinion was being shared by Deloitte's UK chief executive David Sproul however, who said in an interview that the company would be prepared to move work outside of Britain, if restrictions were placed on immigration. 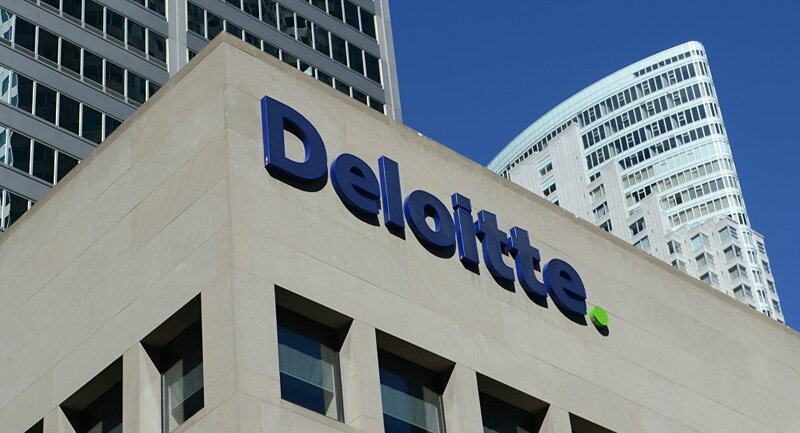 However the UK is still an attractive prospect for Deloitte, according to a company spokesperson. "As David made clear in his interview we have no plans to move any work currently performed in the UK to other locations as a response to Brexit. Bringing in talent is important to the company's success and any significant restrictions on the ability of British companies to recruit from overseas could create challenges, but the UK is a very attractive market for Deloitte and will remain so. "A Deloitte spokesperson told Sputnik. Deloitte admits anti-Brexit report not done at behest of ministers, nothing to with gov and merely own view. Other than that, great story. ​Prime Minister Theresa May, has insisted that she will implement the wishes of the British people and in doing so would opt for a "hard Brexit" which would mean hat Britain would leave the single market, allowing them to stop freedom of movement and slow down immigration. Deloitte is not the only business considering its options post-Brexit. ​A survey carried out by the Institute of Directors, shortly after the EU referendum result was announced, found that the majority of companies thought that Brexit was bad for business and a quarter of those surveyed, were putting hiring plans on hold. One in five respondents were actually considering leaving the UK.